A brand new show from award-winning theatre company Middle Child heads to Arts Centre Washington on Thursday 4th October as part of a new tour. Telling the story of Kit and Kat, who are on a break, though Kit isn’t yet fully aware of this. The promise of excitement and adventure is just a swipe away, though are fresh options really better, or is her long-term lover really her lifelong dream. A late-night search for intimacy, obsessions with lust and more form part of this vibrant new play written by Eve Nicol with music by James Frewer and Honeyblood. 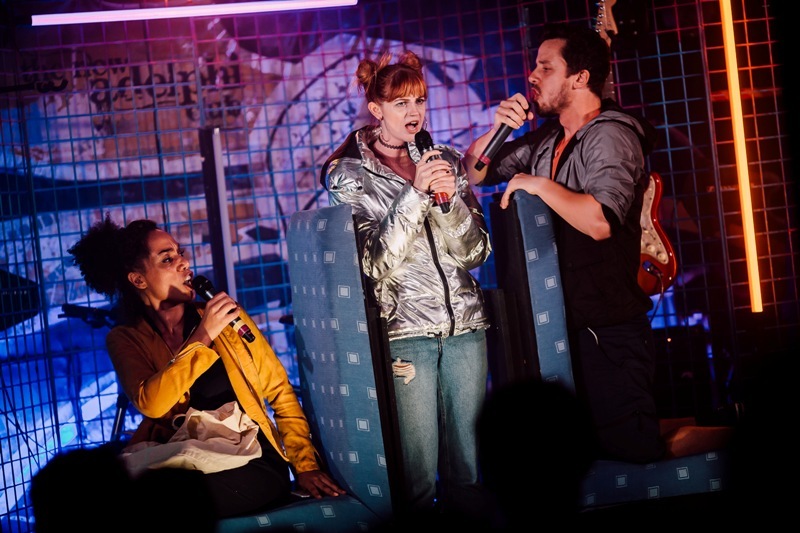 The production stars Tanya Loretta Dee (Boots, Offside) as Kat, Edward Cole (Ten Storey Love Song) as Kit and Anna Mitchelson (Weekend Rockstars) as Momo and captures some immensely relevant feelings in an interesting narrative. One Life Stand is at Arts Centre Washington on Thursday 4th September.